Get ready for a lot more Netflix originals, everyone. The streaming service has only been in the business of making original content for a few years, but now they are committed to making their Netflix Originals the main attraction of their service. 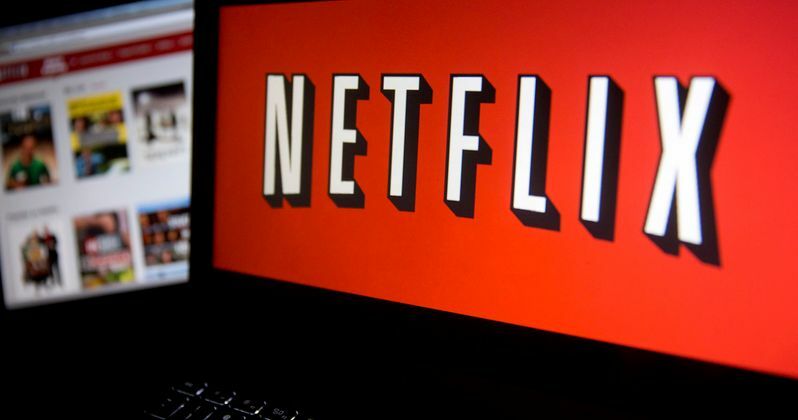 In fact, according to the man in charge, expect half of all content on Netflix to be original content in the near future, which could ultimately wind up changing a lot more than just your binge-watching habits. Deadline recently published a report from the Goldman Sachs Communacopia Conference where Netflix CFO David Wells talked a lot about the company's future. During his talk with investors, he explained that it will take the company a couple of years to hit their goal of having original content make up about half of their offerings. According to Wells, Netflix is currently about halfway to that goal. He also stated that they will be using a "mixture of production models" in order to accomplish that goal, but they will not use sports or ad-supported content to meet their goal. So what will the cost of this push for original content be? David Wells said the company is prepared to burn through $1 billion a year to generate the content that they want. Recently, Netflix had to raise its rates because investors were afraid the service was too cheap. Netflix's investment in their own, massive content library is going to come at a serious cost and ultimately, that cost is going to come out of the pockets of those who use the service. The CFO stated "we can raise [prices] slowly over time," and that they "face pressure from investors that we're underpriced." So as much as you may like watching Orange is the New Black, those shows are ultimately going to make Netflix more expensive over time. Netflix has 83 million subscribers worldwide and they anticipate that number to grow. Though, the majority of those subscribers were obtained when Netflix was primarily a service that streamed licensed, non-original content. As the company has pushed to make more of their own content, much of their licensed streaming library has disappeared. This represents a potential problem for Netflix users in the future. At this point, Netflix is now becoming direct competition for other content creators, meaning it could be more difficult for them to secure rights to non-original content in the future. In the beginning, Netflix represented zero competition to any content provider, because they were not generating any content. It was merely a way for consumers to watch content in an aggregated way. It worked out very well for everyone. Now, Netflix represents direct and real competition to other networks and studios, so they may not be as willing to license their content to Netflix, which will ultimately affect what subscribers will be able to watch on the streaming service in the future. Like it or not, that is the direction Netflix is heading.